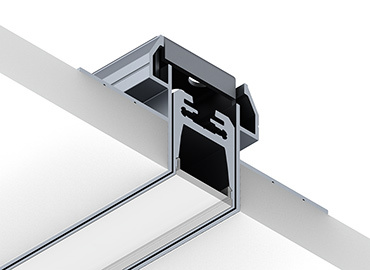 Easy to install trimless recessed aluminium LED profiles all possess sleek stylish lines, but all have the same thermal and optical characteristics as identified in our other generic product ranges. The excellent visual effect is created by using high quality diffusers and LED in order to achieve a smooth and even distribution of illumination. Typically, these profiles are designed primarily for gypsum ceiling installations, but the available range can be equally applied to walls, floors and shelf details for a wide range of lighting scenes and applications. UK custom built sizes in 2200-10,000K CCT , RGB & dynamic white LED.